We hope you listened to us on Bitcoin. He caught a lot of flack for it at the time. 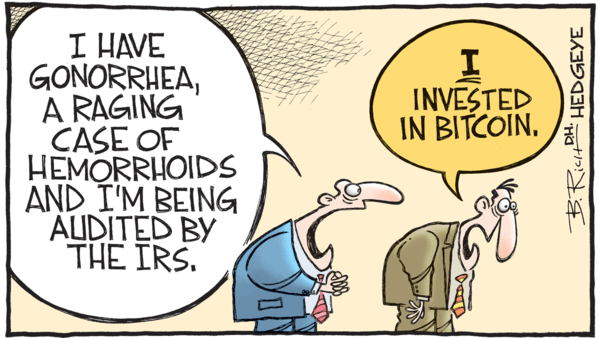 Bitcoin was trading over $16,000. Days later, it hit its all-time high north of $19,000. At the time, CNBC was parading one clueless market pundit after another, encouraging Mom & Pops investors to buy the cryptocurrency. We told our subscribers to sell it. Along with CNBC, Zero Hedge also couldn't resist joining the crypto-party. They chirped our bearish call on bitcoin. For the record, bitcoin has plunged 67% since we made the call. The latest Bitcoin crash appears to be a reaction to the release of a new study by University of Texas-Austin researchers indicating that Bitcoin prices were manipulated last year—when Bitcoin soared from $800 to nearly $20,000. The research presents evidence that another cryptocurrency called Tether was used to purchase Bitcoin after market downturns, thereby propping up Bitcoin prices. 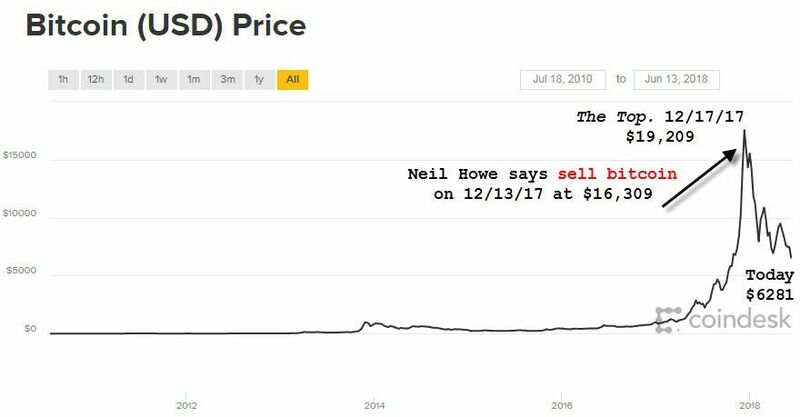 Below is a 5-minute clip from this past December where Howe explains why he recommended selling the cryptocurrency.